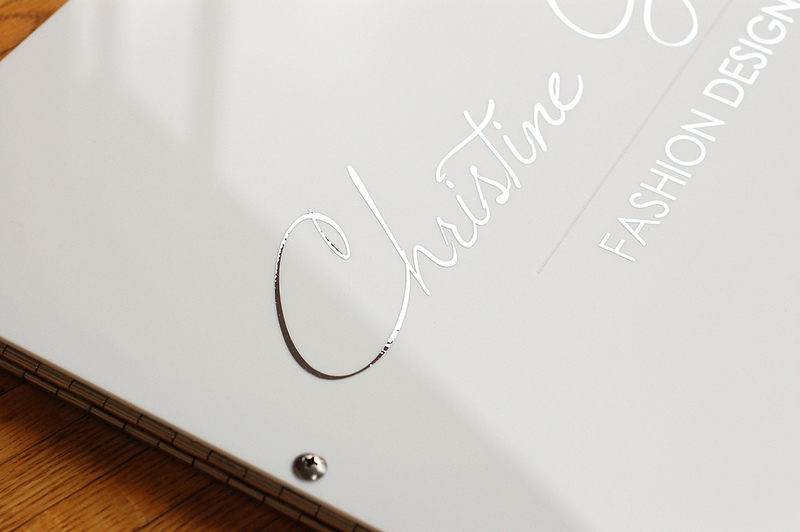 Check out this over-sized 14 x 17 landscape fashion designer portfolio book with a custom silver vinyl decal detail that has been applied to the designer’s name and designation. A simple line has been engraved in the center to pull the look together and to add a bit of texture to the portfolio cover. I’m personally a fan of the silver vinyl decal because it adds so much and is very sharp even in it’s simplistic application. What do you think? If you’re looking for a unique and custom portfolio solution, we should talk. Klo Portfolios are made individually and hand crafted and assembled in Vancouver, Canada. 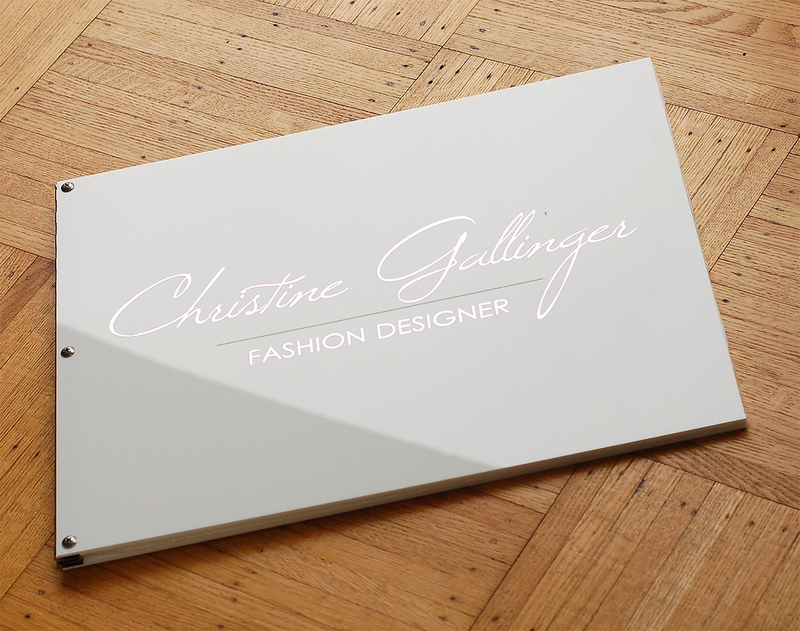 We work with you to bring your portfolio book designs to life which results in your work looking kickass in it! Feel free to peruse through the Klo Portfolios website or email info[at]kloportfolios.com if you have any questions.